Two Astra Planeta (Wandering Stars) leap into the sea beneath the chariot of the rising sun. 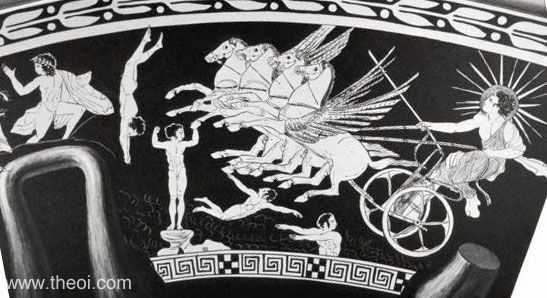 The gods of all five visible planets (Venus, Mars, Mercury, Jupiter and Saturn) are depicted on the vase (see alternate image below). 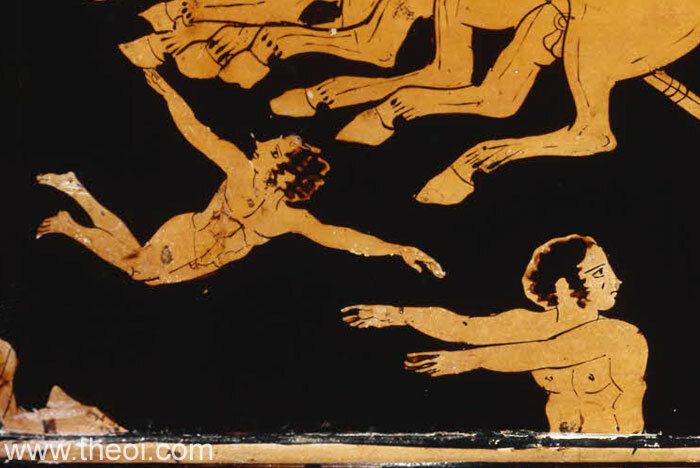 They are portrayed as naked children--two stand on heavenly perches, another pair dive into the sea, and one stands half-immersed in the water. Drawing of the vase painting showing Helius and the five Astra Planeta.